« Licota Road Show @ Keningau – Day 3, Last Chance on Grabbing the Offer! We had a busy May this year. 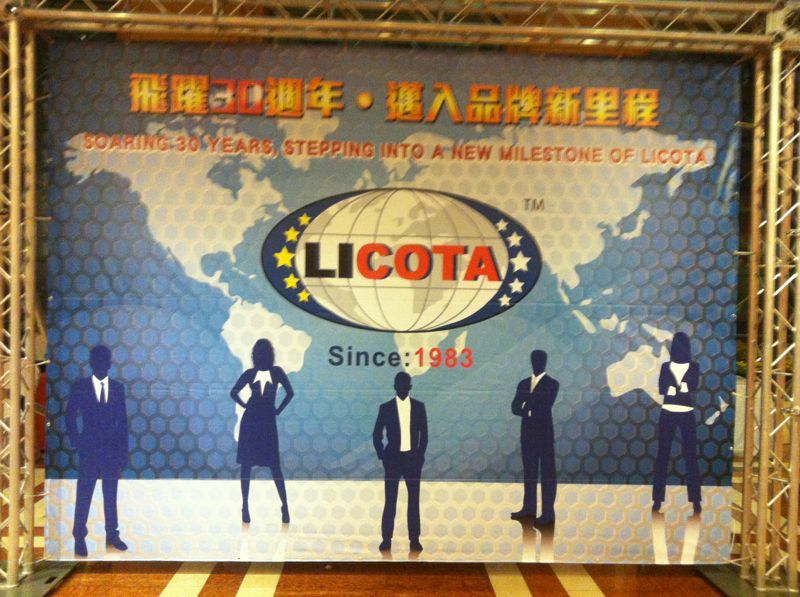 We attended Licota’s 30th anniversary in Taiwan straight after the Roadshow at Ingsun Sdn Bhd. Here are some pics of the visit in Taiwan. Once again, Congratulations to Licota’s success. Congratulations to your 30 years of success. We wish you the very best for the future. It was a pleasure to have met the distributors from all around the world. This entry was posted on Monday, May 27th, 2013 at 10:06 pm	and is filed under Events, Licota. You can follow any responses to this entry through the RSS 2.0 feed. Both comments and pings are currently closed.